Throughout this miserable year we suffered a series of horrific tropical storms and deadly wildfires; a year of ugly, divisive politics, nonstop fake news and a new broader realization that many of the people we formerly respected have actually led terrible abusive lives of harassment, assault and even predation of children. We can take some comfort in the fact that at least our technology improved dramatically. Being thankful for the improvements in consumer technology is not merely a distraction from the ills of the world. Better technology offers a hope for change, if that tech is used to solve problems, distribute solutions and socially connect us rather than sensationalize and divide. It's been a long year so let's start with the good news. As we look for things we can be thankful for, first let's consider iPhone X. It's as if Apple looked at its lineup of best selling phones that earn incredible billions of dollars and said, "hey, we can do a lot better than this. Let's be ambitious." That's something to be thankful for. Typically in the history of technology--and more generally, humanity--once a baseline of comfort is achieved, we give up. We get lazy. "Good enough" becomes a toxin paralyzing our bold ambitions and wild creativity. We allow ourselves to get old. We don't have to. The world is full of older people doing amazing things and enjoying life fully. Overall, however, we commonly fall victim to being casualties of time and circumstance. But the best thing we can do is be: be alive, be real, be ambitious in being. Try new things. "Stay hungry, stay foolish." One of the best things Steve Jobs was good at was seeing exceptional value in other people. He challenged people he knew were capable of doing more than they were comfortable doing. A little discomfort--a little extra-strenuous effort in pushing harder--and gain comes with the pain. He pushed curious tinkerers like the genius Steve Wozniak to do more, and ultimately achieve great implementations of technology. He saw what the largely idle engineers at Xerox PARC could be doing with a strategic push. He kept seeing potential and coaching it into the realization of great things. A decade ago when Steve Jobs introduced the original iPhone, he paused dramatically to emphasize how rare it is to have the privilege of introducing something truly new, with the potential to radically change society for the better and actually improve lives. To accomplish that on a large scale, a person has to be part of a team of competent people pushed to do more, to achieve the best and move everyone forward. Anyone with money and a time machine would spend it going back over and over again to invest in Tim Cooks' Apple. Nothing else stands out in history with such consistent, coherent competence. It is Cook's Apple--the one Jobs laid a foundation for--that has transformed Apple from a thoughtful PC designer into a fashion label for a series of personal devices that don't just compute but delight: computers that fit in your pocket, listening for you to say "Hey Siri." A pair of computers hanging from your ears, playing music wirelessly from your the LTE watch computer on your wrist, which is also monitoring your heartbeat and reminding you that standing up is healthy and that being active now will greatly improve your life in the future. The center of Apple's Garden of Eden ecosystem is iPhone, a device small enough to fit in your hand or pocket, but big enough to serve as a general purpose, interactive display of data, with perfectly balanced computing power designed for both efficient battery life and blazing periods of performance. 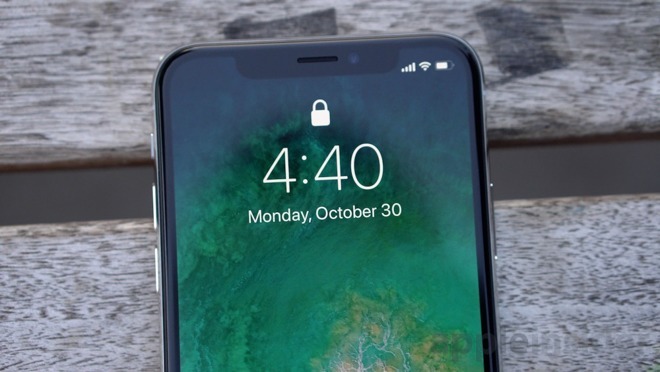 iPhone has become the perfectly sized computer for the mass market, and today's iPhone X expertly balances the useful display size of iPhone Plus with the more comfortable body of the standard iPhone. We can be thankful that Apple is working so relentlessly to perfect and then re-perfect its work. The media talks about smartphones going away and being replaced with "smart speakers" or perpetual worn hologram headgear, or some other silly idea, but the reality is that for the next 5-10 years, the perfect computer will be a hand-held, pocketable device with a display you can see and respond to, use for games and messaging and to browse apps and the web. iPhone isn't going to be replaced by a smart Assistant or a Dot you talk to, attached to the TV in your living room. Those narratives are an effort to distract away from Apple's success in optimizing the perfection of the personal computer. The smartphone is currently dominated by one brand: Apple. 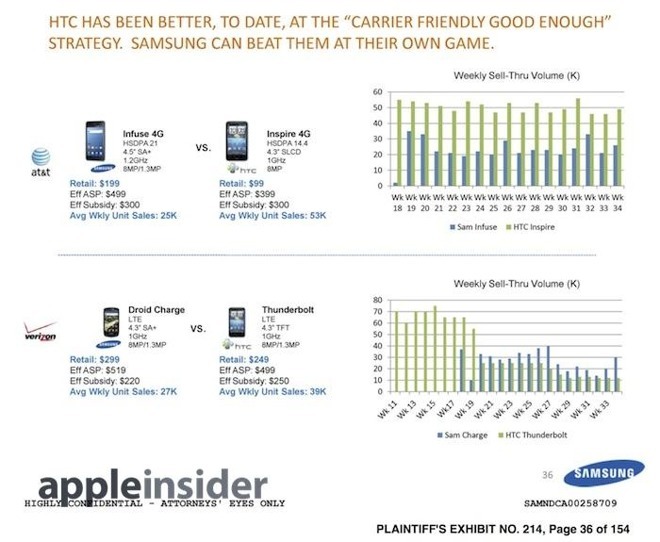 Not in units shipped, but in the commanding lead that Apple holds in industries and markets that matter commercially. That's why Apple has been making virtually all of the money in the phone industry. Sure, other companies with large numbers of employees and lots of resources are building products that claim an edge in certain areas. Google touts its machine learning that drives the low light camera features on its Pixel branded phones. Amazon touts an API for Alexa to link its speakers to functions Siri doesn't attempt. But those individual features are a small part of the whole package Apple has been delivering. History shows us it is much easier for Apple to catch up in a few areas where it lags than it will be for companies with one trick to master the pantheon of capabilities and skill sets Apple is currently excelling in, from iOS to custom silicon to advanced materials. Today's iPhone, iOS and App Store is a lot like Microsoft's Office suite in the 1990s: everyone wanted to copy it, or better it in some respect, but it was impossibly difficult to unseat because it was a package of very good tools that resisted encroachment by one new word processor, spreadsheet or email package. Apple is now the Office of mobile personal computing. And iPhone is reaching a spectacular level of broad competence, expanding upon an app ecosystem and hardware integration that was already effectively impossible to compete with. 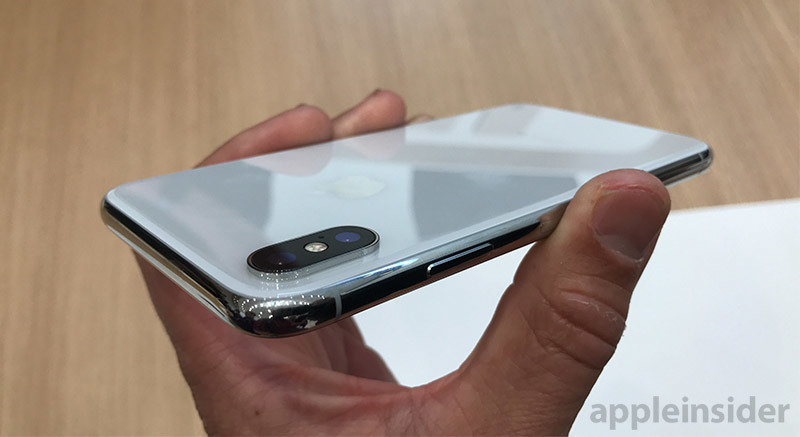 iPhone X looks like an heirloom silver pen--stretched wide, with a pearlescent back framing its dual lens depth cameras on one side, and a face that's a full-screen display of radiant color that responds to contact with immediate realism. 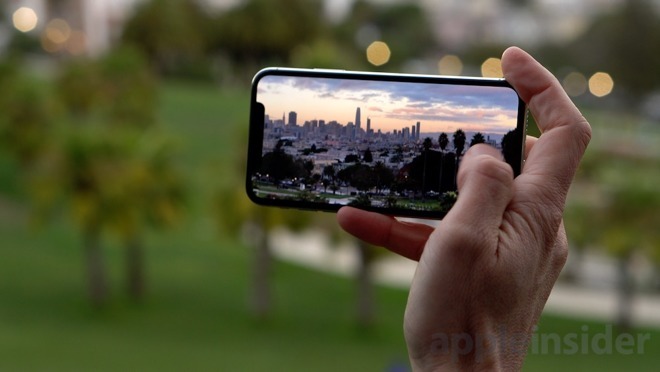 The only thing more beautiful about the phone is the way it responds to touch, tilt, gestures, shaking and a deep press, or the way it represents HDR visuals and immersive stereophonic audio. It's the most incredible personal computer to ever exist. I'm thankful for that. As a hardware design, iPhone could have been "good enough" to make money without ambitiously seeking to drive the state of the art. Instead, as with Jobs' Macintosh before it, Apple sought to enable new leaps of capabilities using a much more powerful CPU than was commonly in use. Contrast the original IBM PC, which was intentionally designed by IBM with a cheap, crippled Intel chip (selected over much more powerful alternatives at Intel and elsewhere) to prevent small personal computers from encroaching on IBM's legacy minicomputer cash cow of the day. Apple designed the original iPhone with an advanced, powerful GPU and packed far more RAM than other smartphones of the day, not just for specification boasting, but to enable it to run real desktop-class apps, from a real browser to fully functional email. That launched iPhone into its own arena, where it was a solo rockstar, not a gladiator fighting among many. 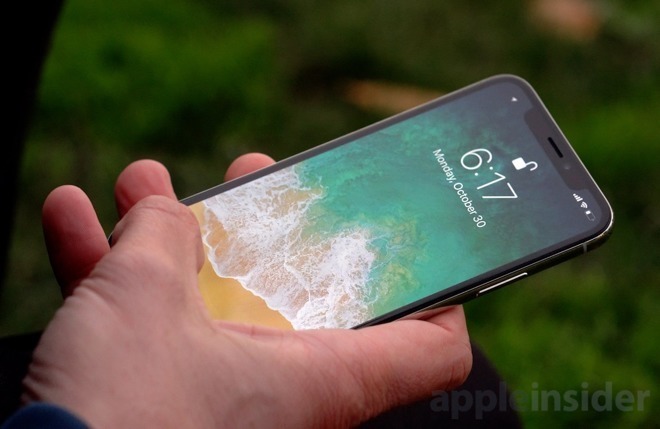 Despite being a telephony underdog behind the much larger, entrench phone makers of 2007, Apple rapidly caught up in areas such mobile cameras and 3G data connectivity, while pushing ahead with enabling technologies like accelerometers, gyroscopes, fingerprint sensors, advanced coprocessors—and now—structure-sensing depth cameras. Other phone makers saw no need to shake things up in a market where they had been lazily making money on incremental updates designed primarily to preserve and expand market share, without thinking about where the market might go in the future. We can be thankful that Jobs' Apple looked past "the now" to see where the smartphone puck could potentially go. We can also be thankful that seven years after Jobs' passing, the company he founded is still working to rapidly render the past obsolete simply by advancing new technology so ambitiously fast. Under Tim Cook, Apple has shifted from a company making a string of new hit products to a powerhouse of global production that has taken ambitious engineering into a massive new scale. Apple isn't just launching its own products at a frenzied pace. It has also launched broad industry initiatives that have ambitiously shifted outside industries. Beyond changing how software is delivered in the App Store, iOS has also revolutionized automotive integration with Eyes Free and CarPlay; created a secure system for home automation in HomeKit, shifted healthcare and medical research with HealthKit and ResearchKit, simplified payments with Apple Pay, and is now rapidly rolling out support for efforts like Apple Watch GymKit to make equipment smarter. And while the front edge of phone hardware keeps moving aggressively into the future, Apple's trailing edge with iPhone SE--the enhanced version of what it was selling a few years ago--is pioneering new emerging markets at the lowest prices an iPhone has ever reached. 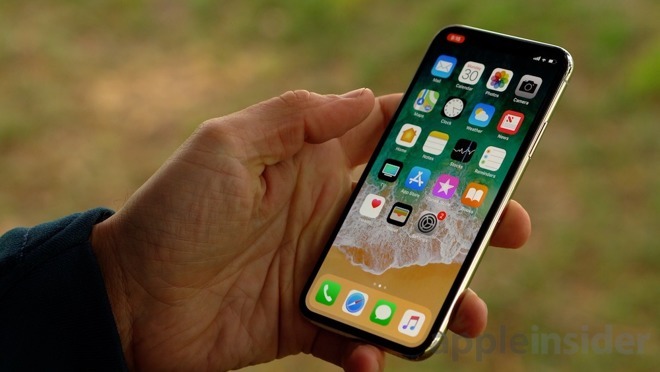 Whether you want a low priced, very good basic phone or are willing to pay a premium for the future, you can be thankful that Apple is delivering it, updating it, and supporting it across essentially all of its strategic efforts. Anything outside of paid texts and individually billed minutes of talk time was a feared threat to carriers' business. It's nearly forgotten, for example, that before iPhone "smartphones" on carriers such as Verizon couldn't have WiFi (the scariest threat to carrier per-minute billings) and many phones were commonly designed so they could not even sync data to a PC without using the carrier's mobile network (because a serial cable allowed data to move without anyone being billed). Something to think about at a time when America is rolling back Net Neutrality. Soon all internet carriers will be able to gouge you in ways you can't currently imagine! But let's get back to being as thankful as we can. We can be thankful that Apple's iPhone destroyed the mobile status quo, which had forced end users to get any hardware software updates from the carriers, a trickle-down process than rarely ever occurred in practice. 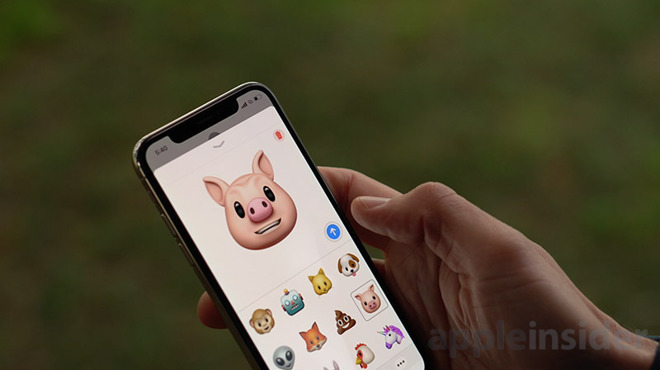 Today we get rapid new updates, security patches and new apps as fast as Apple can release them; no carrier involvement or obstruction of the sort that once crippled mobile phones of all types. Adobe Flash, Microsoft Windows Mobile, Nokia Symbian and Sun's Java Mobile had all been content to only meekly carry water for the mobile carriers, delivering junk phone platforms built to the crap specifications of their carrier partners. Samsung, which licensed all of those platforms, was a leading producer of these garbage phones. It specifically referred to its unambitious devices as "carrier friendly, good enough" in its own internal marketing communications: the company's great ambition was to beat HTC "at their own game" of making not very good phones. We can be thankful Samsung isn't the leader in driving new mobile phone technology, but is now merely showing off limited quantities of high-end hardware components that will eventually end up on iPhones--along with more than a few silly gimmicks that won't. Just like Pixel photos and Alexa voice, Samsung's displays and Qualcomm chips offer a fleeting first that isn't good enough to compete with Apple's entire package of Office-like competence. We can be thankful Google is not strategically driving the development of mobile technology, but merely following along behind Apple to deliver an inferior copy with a few superior services or apps tired around its neck--services that are now generally also ported to iPhone. Apple has effectively blocked efforts by Google--and its partnerships with all the major phone makers on the planet--in a multifaceted effort to deliver an unfolding strategy that in hindsight appears to have been omniscient and omnipotent. Apple earns billions more than all of Android's horses and all of Android's men put together. Despite a brief appearance of success--greatly amplified by a supporting press offering lavish excuses for Android and its failed hoard of hardware partners who can't turn a profit--Google's open knockoff of iOS has done nothing but spruce up the existing Java-on-Linux turd sandwich that basic phone makers with no clear vision and a crisis of design had been munching on before Google offered to spend thousands of engineer years worth of work to make off-brand crap phones slightly better while ripping off every aspect of iOS it could, adding a few original ideas of its own (most of which have since been discarded). After ten years of iPhone iterations, Apple has delivered iPhone X. It is wonderful to carry, lights up when it sees you and offers an expansive ecosystem of high-quality apps, games, peripheral devices ranging from home and automotive integration to AirPods and AirPlay wireless audio and seamless connectivity to your Apple Watch and MacBook. Let's just say it: iPhone X is the most spectacular personal electronic device ever created. Much of that credit goes to the engineers, designers, software architects, product managers, operational experts and everyone else at Apple who worked to craft an incredible product worthy of paying a premium to own. iPhone X is an expression of high order craftsmanship. But there are also some other people outside of Apple who deserve some credit for how iPhone has developed over the past decade. Implosive failures suffered by the Amazon Fire Phone, Facebook phone, Microsoft Windows Phone, Motorola, Nokia's Symbian, Palm's webOS, Sony and many others have shown Apple a toxic roadmap of what not to do. Desperate attempts to shamelessly clone Apple's work by Google, Samsung, Xiaomi (and most of the rest of China) have kept Apple on guard and prevented it from growing complacent and lazily stumbling in the way that other companies that allowed themselves to feel a little too secure in their position had; think of Adobe Flash, Blackberry, Microsoft, Nokia, Palm and Sun Java Mobile. Thirdly, a clucking henhouse of naysayers in the tech media also deserves some credit for hardening Apple in the flames of their discontent. Their ceaseless complaining, false equivalencies, unfair treatment and one-sided reporting have kept Apple held to a stratospheric standard of unreasonably high excellence--a sort of "reality distortion field" that the company has dutifully strived to live up to while its rivals were coddled in parallel with phony platitudes and commendation for simply showing up with unsellable, unfinished, ill-considered, poorly performing, sloppily designed, shoddily engineered products that treated their buyers with arrogant contempt in full disregard for their privacy, security and enjoyment. Google cranked out such turds as the HTC Nexus 7, the LG Nexus 5X, the Motorola Nexus 6, Huawei Nexus 6P, Pixel C and the LG Pixel 2 XL to critical acclaim just prior to everyone realizing that these products were steaming hot piles of excrement that nobody wanted to own. That says something about illegitimate blogger reviews, but also that Google doesn't really care about hardware. It hasn't had to, as it has a series of blogger friends willing to advise people buy this junk from third-rate mobile makers just because Google slapped its reputation on the package. That laziness has tarnished Google's brand along with Nexus and Pixel. Contrast blogger excuses for Google-branded dreck with the scorn generated about Apple's best selling, popular-premium products. After ten years of Apple's iPhone being tested in hateful fires of contempt, iPhone X rises to new heights like a legendary phoenix while the mercurial strategy of Apple's peers puddles up into useless balls that ineffectually shatter and regroup in various random directions, having failed to do anything more than expand as a commercially failed mass of unremarkable market share that does little more than keep people busy making counterfeit knockoffs of a good product but can't manage to command a similar price. We can be thankful that in such a sea of careless incompetence, Apple is still working to deliver the best, while driving responsible behavior among its suppliers in regard to worker rights, environmental stewardship and materials sourcing. Now, Apple, fix Siri, iOS 11 and Maps search and we can be thankful next year as well.